On February 16, 1861, John Anderson, an escaped slave from Missouri, was discharged by a Toronto court, narrowly avoiding a return to the shackles of slavery.Born a slave in Missouri, Anderson was separated from his wife and children when sold to a new owner. His new master refused to let him see his family, so in 1853 he decided to escape to Canada where he would be free and able to raise money to free his family as well. However, during his desperate attempt to escape, Anderson killed Seneca Diggs, a slaveholder who tried to stop him. 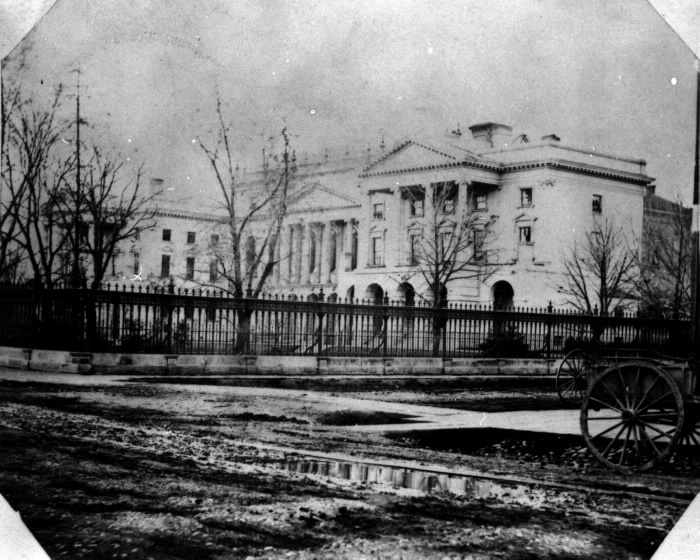 Anderson made it to Windsor, Ontario, in the fall of 1853, but the next year American authorities asked for his return, charging him with murder. Canadian Governor General Lord Elgin refused. In 1860, however, a magistrate in Brantford, Ontario, learned of his story and arrested Anderson. James Gunning, a Detroit detective, came to Brantford with evidence in hand and a formal warrant for Anderson’s arrest. On November 24, 1860, Anderson appeared in a Toronto court where the judges considered whether he should be returned to the United States to stand trial for murder. Anderson’s act would probably not have been considered murder under Canadian law, because he was defending his freedom from a man who would enslave him. However, the presiding justices decided that based on Missouri law Anderson had committed murder and so they were required to hand him over to the American authorities. Osgoode Hall, Toronto. Home of the Law Society of Upper Canada, constructed 1829. But the fight wasn’t over! Many people in Canada were sympathetic to his plight and one petition was signed by more than 2,500 people. They feared that if he was given over to the Americans, no fugitive slave would be safe in Canada. The British and Foreign Anti-Slavery Society made an appeal on his behalf in Great Britain since Canada was still a British colony. However, before it could proceed, Anderson’s appeal was heard in Canada and the court freed him. 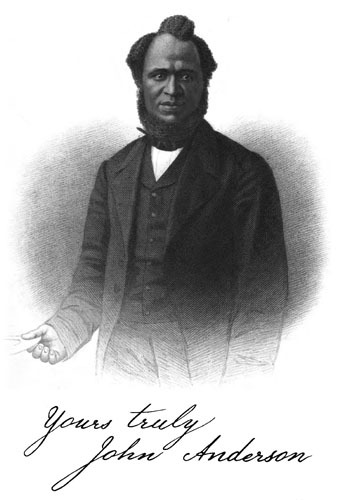 The Canadian and British abolitionists who supported him and his highly publicized story rejoiced! The Fugitive Slave Movement through which John Anderson was freed is a National Historic Event and Osgoode Hall in Toronto where his case was heard is a National Historic Site.